All PACKAGES are a 25 guest MINIMUM. 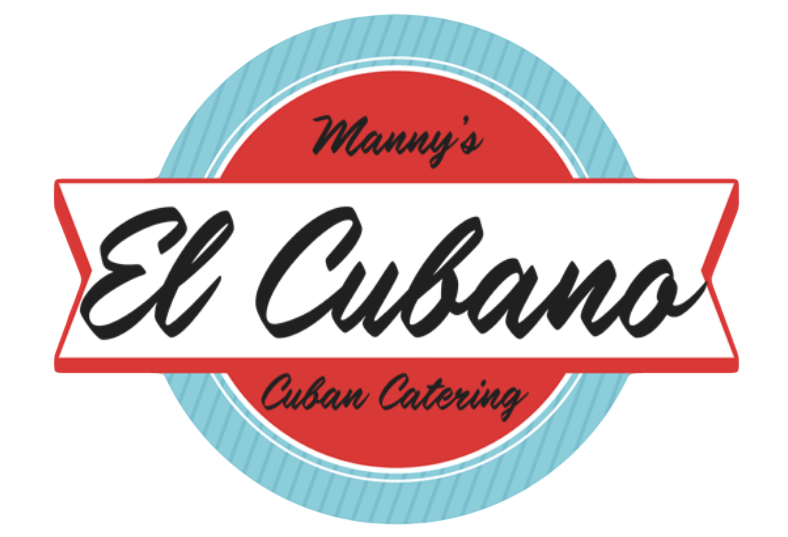 El Cubano Catering can accommodate fewer guest but must charge for the minimum to make it financially viable. Prices indicated are PER PERSON. Taxes and additional fees are NOT included. Gratuities for the staff are appreciate for an exceptional job and left to the discretion of the client. All menu items can prepared on-site or at one of our Certified Kitchens and served buffet style. All utensils, disposable plates, napkins and condiments are included in the price. Prices are based on the number of guests, package or menu items selected, & location. Increasing the number of guests on any of our packages will lower the cost accordingly. CALL FOR DETAILS! A $250 non-refundable booking fee is required to place your event on our calendar. Dates cannot be held without this deposit. Once deposit is received by El Cubano LLC, the event will be placed on the calendar. Contract must be executed within five business days and accompanied with a 50% deposit of the contracted amount. Balance of the contracted amount will be due 10 business days prior to contracted event date. Any changes to the total number of guests must be made no less than 10 business days prior to the event date. The balance is due 10 day prior to the event date. Additions and or changes to the contracted menu can be made, upon mutual agreement of El Cubano, LLC., its Agents and the Client, up to 10 business days of the event. Event date changes are allowed within 10 days of event, after this point an additional cost may be added to the contracted amount to cover materials and food already purchased. Alternate dates are subject to availability and approval by El Cubano LLC. and its Agents. Memorial Day / July 4th / Labor Day / Columbus Day / Veterans Day / July 23 weekend / December 31 / January 1 / Thanksgiving-Closed / Christmas – Closed. A rain date may be reserved for an additional $250.00 **non-refundable "Rain Date deposit" for any outdoor events. ** Rain Date Deposits may be refunded if a subsequent event is booked by another client on that date. An additional 50% deposit must be made immediately for any event bookings with less than a 2 week notice. An additional travel charge will be applied for locations outside a 50 mile radius of New Garden, PA. The Pig Only package requires a minimum 50 guests. We always achieve an authentic Cuban Roasted flavor using our methods of preparation and cooking. We DO NOT smoke meats. All our roasting is done at our location OR on site, at your location with "La Caja China". We marinate the pig for a minimum of 12 hours in our Cuban Mojo. Traditional Miami sandwiches - El Cubano and Medianoche. Minimum 25 guests. We assemble the bread, pork, ham, cheese, pickle, mojo, and mustard for each sandwich individually and grill press them for the final touch. This is the "Whole Hog" and then some! We will roast our 12 hour Cuban Marinated pig at location in "La Caja China", Serve it up "Pickin' Style" For your guest. Included will be our delicious Congris,Sweet Plantains, Maraquitas with garlic sauce, Cuban bread and the best Cuban coffee you have ever had.... if ever! And don't forget the Cuban atmosphere. This is it! A buffet as big as the great Sea Wall of Habana! Our 12 hour Cuban style marinated whole pig, roasted at your location in our "La Caja China" roaster. We also include our delicious Cuban Mojo Chicken. We Add some Amazing, authentic sides Don't forget the nostalgic Cuban atmosphere of music and dominoes. You will feel like your were on my grandfathers patio in Pinar Del Rio, Cuba.